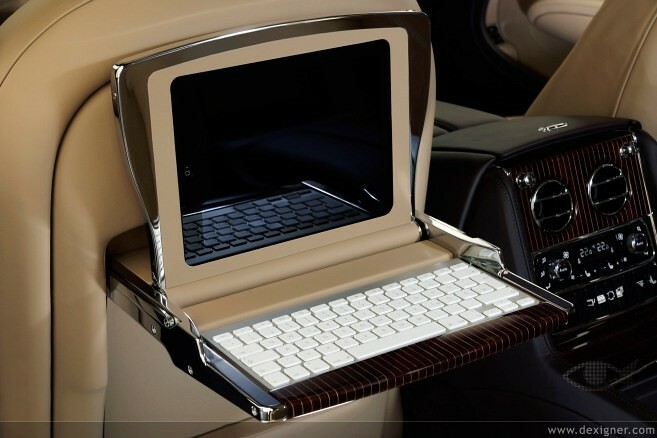 Bentley used the Frankfurt Motor Show this week to unveil a new concept for their flagship Mulsanne luxury vehicle that integrates two iPads, two Apple wireless keyboards, one Mac mini, and an iPod touch as the heart of its entertainment system. 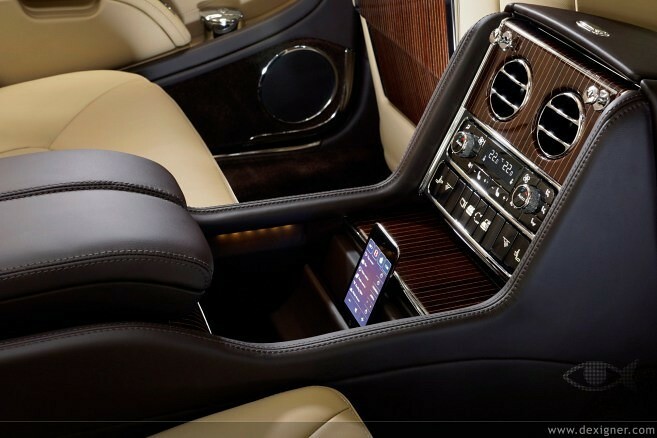 As you can see from the gorgeous images of the hand-crafted cabin, the Mulsanne concept packs in two retractable iPad workstations (equipped with full internet access) for rear passengers, with a wireless Apple bluetooth keyboard enclosed in a custom housing. 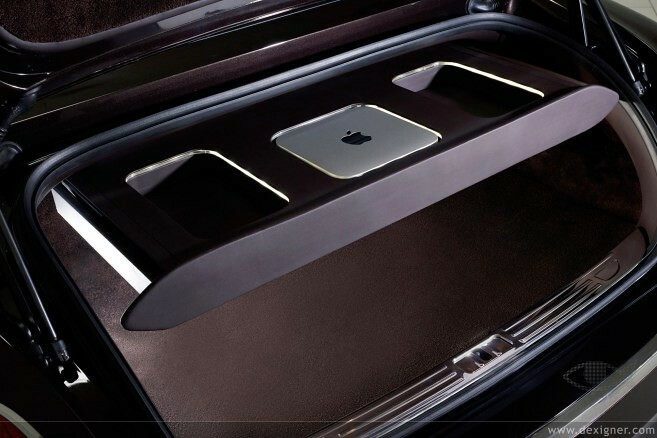 The trunk houses a Mac mini that acts as a media center for a 15.6-inch HD display that drops down from the roof console, and also reportedly keeps the content on the two iPads in sync. An iPod touch sits on a built-in dock and acts as the control panel for the Rear Seat Entertainment and audio system, and the Mac mini’s Media Centre. Of course this is just a concept as of yet, and we can only imagine the price tag, but it gives us a good idea of the automotive industry’s plans for Apple products down the road. 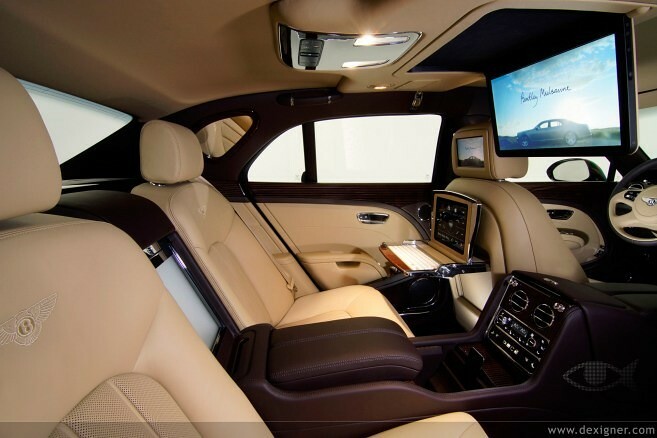 Check out more images of the hand-crafted cabin after the break, which took Bentley’s craftsmen over 170 hours to create. Images courtesy of Dexigner.